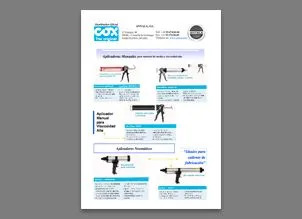 SULZER (old PC Cox) is the world’s largest and most innovative manufacturer of hand-held sealant and adhesive applicators, supplying customers globally with a range of over 90 standard models. 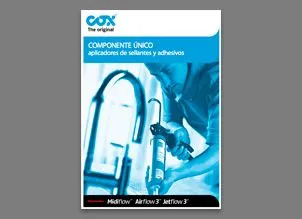 Our user focused product range includes applicators for both single and dual component sealants and adhesives. By combining innovative design with excellent manufacturing standards, rigid quality management, competitive pricing and an in-depth understanding of the sealant and adhesive market, Sulzer has developed a range of manual, pneumatic and cordless applicators to satisfy the application needs from the DIY to the most sophisticated of specialists markets. 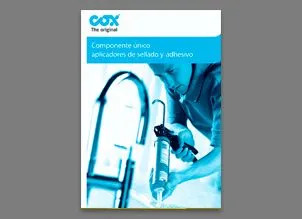 PC Cox was originally founded in 1958, and now aquired by Sulzer has become the world leader in the design and manufacture of portable applicators sealants and adhesives. Headquartered in the UK, Sulzer is the largest and most innovative manufacturer of portable caulking guns, hand operated, battery powered and driven by air. Sulzer products are sent to over 70 countries around the world. Antala Ltd. is the leading supplier of Sulzer, with a close relationship and many years of experience. Sulzer is the leader in industrial and portable applicators for sealants and adhesives. Its headquarters and design centers are located in the UK along with two manufacturing centers to support global demands. Sulzer was founded based on innovation and has remained at the forefront of innovative sealant and adhesive applicators used daily across multiple markets such as: by end users who choose quality above all else.